I AM your Holy Mother that comes thru this one, Shellee-Kim. She has asked for my name or a title. Suffice it to say I am the Goddess counterpart to God; the embodiment of the Feminine Divine; I am all the suppressed parts of womanhood and the selfsame within men, in your patriarchal system. Here now to balance, to re-form and help all beings so desirous of it, to reclaim their most sacred Selves in full. I AM the One in whom all these energies reside. I AM SHE who is your most beloved Mother, who comes home to you now, even as you choose to come home to HER/ME. Our most deeply beloved children: we, Holy Father and I, come forth this day with encouraging words about your victory and that of the Light’s. Though it may feel quite differently to you, the underlying currents of energies flowing in towards all able to receive them, are indeed to have a profound effect on liberating you from the shackles of limitation that you have endured. And all, you will see, will NOT have been for naught. It is with deep de-Light I AM now fully able to enter the consciousness and (energy)field of those who have sufficiently prepared. Who, in turn, will show the same way home for many others to follow. It is our task to introduce you now to the concepts of what living in full consciousness feels like. And how this state in and of itself is one which profoundly affects all who cross its path in the most positive of ways. It is our bestowal and our joy that this time on Earth and amongst her people is now here. To you who will be first in anchoring this as the catalysts you are, a Divine time awaits. Quite literally so. You are to know a fullness of heart as you never have in this incarnation as all that WE ARE (SK: God and God-ess) freely flows as great spiritual wealth through you and of you. Your coming treasures have been most well earned in jobs quite magnificently done. All that is of the God/Goddess is now yours. Know this. And I love each and every one of you beloved children so dearly. The great changes, our dear beloved ones on earth, are what we have all been waiting for for millennia. Each and every one, near and far, on earth and off it, have their part to play in this grand unfoldment on your precious jewel of a planet. She is certainly the centre of attention now, as all who have ever had anything to do with her, are standing by and ready to serve as she moves into birthing the new ‘her’. And all is most well. Commanders and their Fleet are manning the skies, waiting for the ‘start’ alert. All are poised. And your beloved Creator Son, Christ Michael Aton, is charged with a fire such that we haven’t seen in a long time. Instruments are being warmed up in readiness for your grand conductor to step onto his cosmic stage and set the audience alight with his passion, leaving them gasping in delight. So it is with us…we too wait for the spectacle, for this announcement of the convergence point. Never before in the history of your earth will such a show be on display for all the peoples of earth to revel in; to have such an opportunity for advancement in this time of the Quickening. When all begins, beloveds, there will be little pause for breath as one ‘event’ leads to another and another……until the chain of events returns people to... themselves. It starts with YOU and ends with YOU. For this is the Grace of your Creator Source that wishes his bounty upon the entire planet and her people now. And so it is. 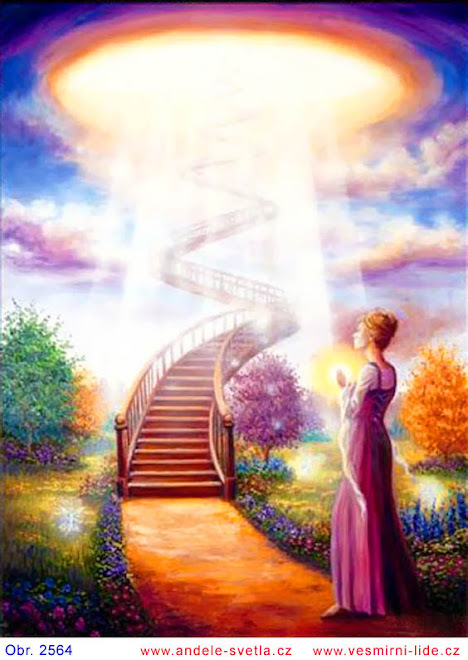 Sleepers and sleeping starseeds – those who committed to assisting during this period will be coming into their own far more fully than thought just a short time ago. We say ‘coming into their own’, as Truth will filter through quite quickly into the consciousness of these ones, jogging memories in the process. This is and will be an excellent breakthrough and swell numbers for the entire pre 3DD plan. And we are most overjoyed with this development. 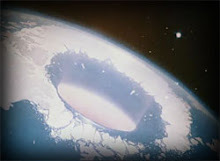 Your planetary cabal or the Khazarian Zionists( KZ’s, as SK calls them), are in for a rather rough ride. They are still in partial denial at their failure and what it is to bring them. However, that is and will be for them to deal with in the manner they see fit. More interesting will it be to see how the people see fit to respond to THEM. And this remains a relatively unknown factor. And you all on the ground will be immensely important here, as you have already been informed. Although there will be more of you now, you will still be required to undertake much by way of teaching, guiding, making decisions with lighting-speed and generally acting as voices of calm and reason amidst the chaos. Oh, our joy at seeing you shining in your true essence cannot even be conveyed. And we are ecstatic to be able to be helping you make this return to yourSelves. As you mean so very much to us, each and every one of you. You are our many sparkling gems who’s Light will blaze brilliant trails across the planet. And who will become the catalysts for great change amongst your planetary populace. Indeed. It is so. Now we shall take our leave. With all the Love in our Hearts to you. You will be well sustained in the coming period. You are to be Gifted with much. We will say no more. Bringing our many blessings upon you.